This bow tie is the perfect addition to one’s Halloween attire! 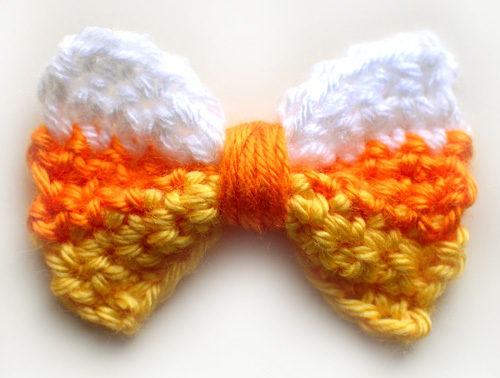 Candy Corn Bow by Rachel Choi makes a cute accessory for humans and pets as well. This bow tie is really easy to make and it’s a great way to add fashion and absolute cuteness to your beloved kitty or puppy Halloween costume. 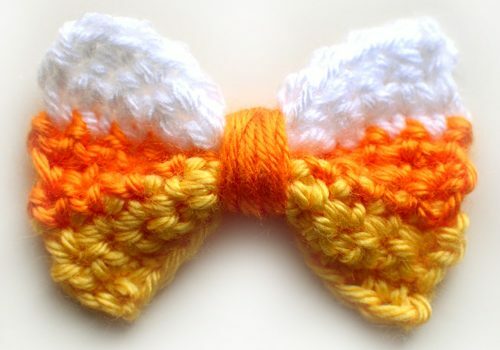 Check out the original source for the Cute Halloween Candy Corn Bow Free Crochet Pattern with all the directions and full written pattern at: Crochet Spot. Thanks to Rachel Choi for the article inspiration and featured image.